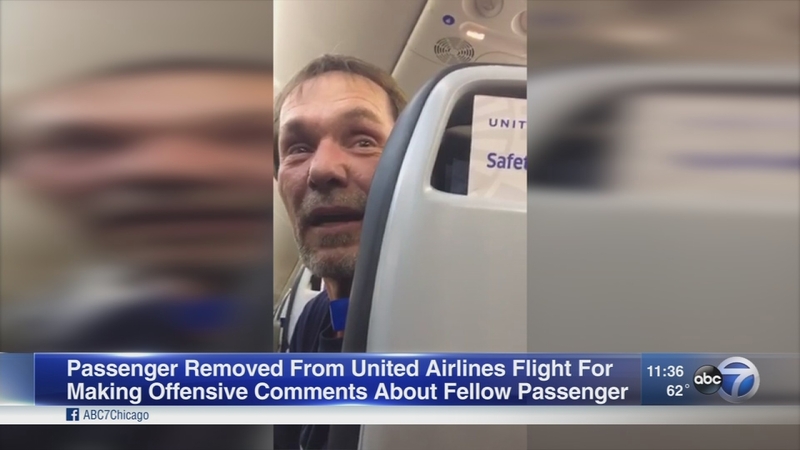 CHICAGO (WLS) -- A passenger on a United Airlines flight from Chicago to Houston was removed from the plane after making offensive comments. The passenger being kicked off plane in the video reportedly asked a Middle Eastern man if he had a bomb in his bag. The passenger then started arguing with other passengers who were offended by the question. United Airlines said it removed the passenger from the flight for making comments that made other passengers uncomfortable.